susannahbean: Check out this giveaway! Don't you love when you come across a giveaway and it features someone totally awesome that you wish you'd known about forever?! Defffinitely what's happening right now! 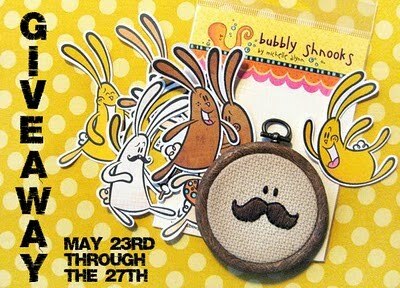 Kaylah at The Dainty Squid is hosting a giveaway for Bubbly Shnooks, and it's some of the cutest stuff ever! I'm loving Bubbly Shnooks right now, even if I don't win I'll have to buy stuff!